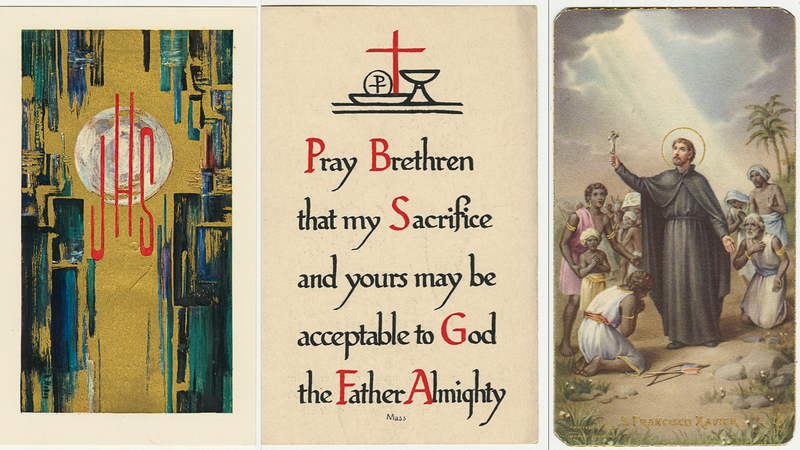 "Edward O'Connor memorial holy card"
Funeral prayer card for Edward O'Connor, 1910-1980. 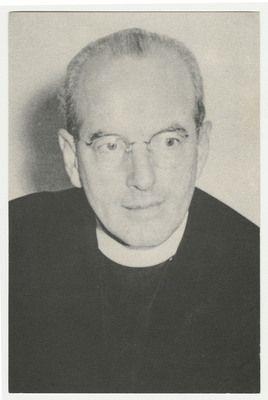 The front of the card contains a photograph of Father O'Connor. The back of the card contains biographical information and a prayer for the repose of his soul. The card was made by an unknown publisher. He was university chaplain at Xavier University (Cincinnati, Ohio). "Edward O'Connor memorial holy card" (1980). Jesuit Memorial Holy Cards. 50.